The Yad Ezrah Organization in Israel runs a variety of humanitarian projects, which provide vital aid throughout the country for over one hundred thousand needy Jews annually. 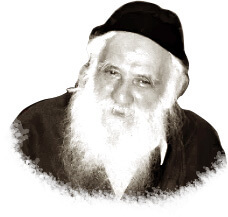 Yad Ezrah Chessed Organization was founded over 60 years ago by the Jerusalem-based wondrous tzadik Rav Asher Freund zt”l. Rav Asher dedicated himself to helping each Jew, whoever and wherever he may be. He was a pioneer in establishing chesed organizations in Israel that assist needy families at each junction of their lives, especially at their weakest moments. Yad Ezrah is a multi-branched umbrella organization that provides Shabbat and Yom Tov free food distribution, a daily soup kitchen, free medical and emotional relief services, low cost dental clinics, low cost wedding halls, education for low income families and much more. There has never been an organization like Yad Ezrah. For over 60 years, it has been a one stop shop for the poor, the sick, the depressed, the newlywed, the orphaned and the working mothers who need a break. The organization is a support system for thousands of hard working families who are unable to fully provide for their monthly needs due to various circumstances. Yad Ezrah is a shoulder for those who need direction and support and an open hand for those who have nowhere to turn. Lives are reborn, confidence is renewed and hope is restored as we see parents and children smiling once again. It is a smile that brings Yad Ezrah great joy and satisfaction. It is a smile that Rav Asher ZT”L looked for in every person. Subscribe to our Newsletter and stay informed with our progress. YOU are the source of hope and happiness to thousands – because your contribution and support allows us to make miracles happen. Read about it in our newsletter. Low cost dental care for over 20,000. Children at our Day Care Center enjoy lunch. Shabbos & Yom Tov Food for thousands of needy families. Rehab for hundreds suffering with mental illness.